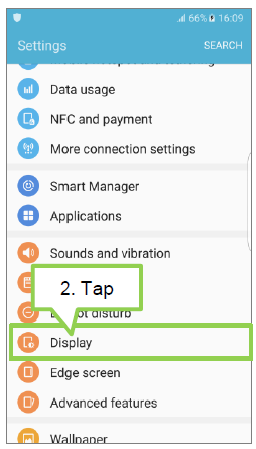 Galaxy S7 Flat/Edge: How do I set Always On Display feature? 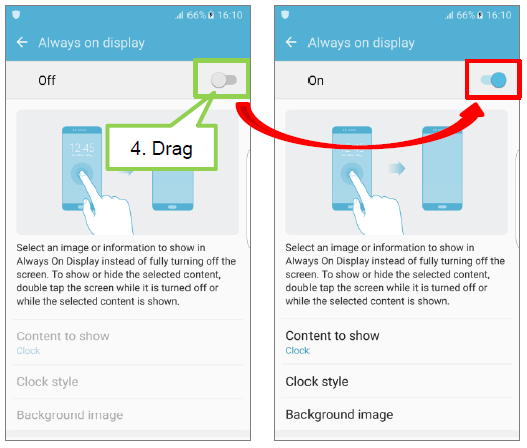 You can set the device to display information, such as a clock, calendar, or image, on the screen when it is turned off. 1. 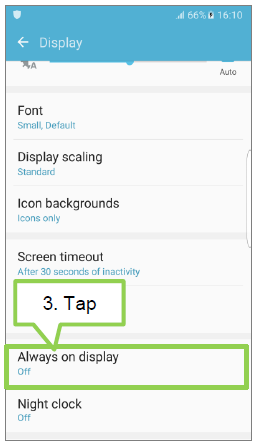 From the Apps screen, tap Settings. 3. Tap Always on display. 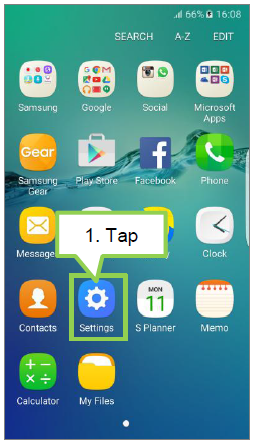 4. tap the switch to activate it. 5. Tap content to show and select an item to display. 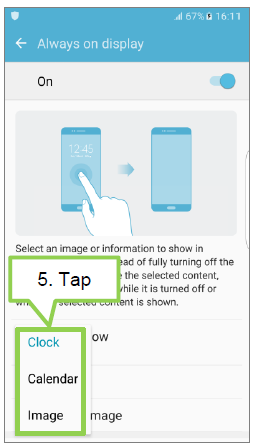 Clock: Select a clock style and background image. 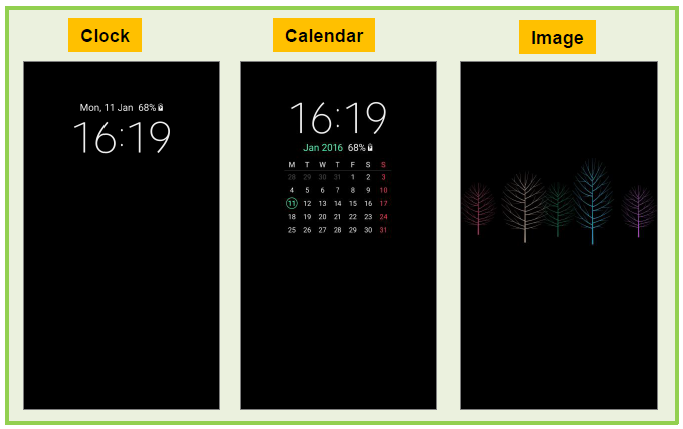 Calendar: Select a calendar style. Image: Select an image to display on the screen when it is turned off. 6. When the screen is off, the device will display the selected information.